How many times have you said you can´t study Spanish because you don´t have time or you can´t find a good teacher? 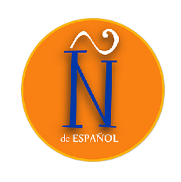 Spanish online classes with native teachers from Buenos Aires to your place. We work with specific material and a software especially designed to teach languages, which allows us to carry out a lessons comfortably and dynamically, and to focus on grammar as much as on conversation skills. You have no more excuses, because now Ñ online brings a techer tu your house. After all these years teaching Spanish, we have noticed that many of our students would give up learning once they got back to their countries because they wouldn´t find an experienced teacher (some times not even a teacher) to continue with their studies. We know many of them would love to keep learning as well as practicing. In response to this need, we have decided to start with online lessons, keeping the quality and dedication our lessons have. With this goal in our minds, we have chosen a software especially designed to teach languages, which allows us to carry out a lessons comfortably and dynamically, and to focus on grammar as much as on conversation skills. All you need for your class is to have a Skype account, ADSL Internet connection, headphones or speakers, microphone and a camera (if you have one). Once we schedule our first class we will let you know how to acces to our virtual board. You need a Paypal account (don´t worry if you don´t know how it works, we will help you). In order to determine a precise schedule, we will send you our availability after which you´ll be able to tell us which time suits you the best. Please, keep in mind Buenos Aires time zone before confirming.